TOURNAMENT RULES I have a copy of the tournament rules and will abide by them. for all players playing on my team in this tournament including Guest Players. 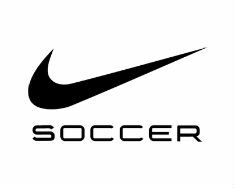 I release the PDA Soccer Club, and all participating sponsors, from all responsibility regarding injuries. PLAYER CARDS Player cards and roster must be present at each game. be tolerated. Appropriate action will be taken by the Tournament Director or his/her designee, and could result in the team’s dismissal from the tournament. HOTELS: PDA is proud to announce its continuing partnership with Anthony Travel, a travel agency with a nationwide reputation for excellence in managing travel to sports events. We feel strongly that Anthony Travel will bring the same degree of professionalism, attention to detail, and quality service to fulfilling your tournament travel and housing needs that our PDA staff brings to the organization and execution of the tournament itself. Booking through Anthony Travel for hotel accommodations is mandatory – teams found to be in violation of this requirement are subject to disqualification without refund of their entry fee, and will jeopardize their participation in future PDA tournaments. 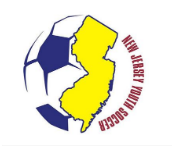 WEBSITE: Scores will be updated at www.pdasoccer.org during the tournament. I accept and will abide by the above rules/guidelines/liability on behalf of my team.